You share everything with your furry friend: your love, your home, your car on road trip adventures, your sofa on quiet evenings at home, your leftovers after a good dinner. Whoa…back up! While you’d do anything for your pooch, offering people food is not always a safe idea. So, before you pass out the snacks or serve up the scraps, find out which human foods can harm your dog. Say it aint so! Your favorite treats are off-limits to your pooch thanks to substances found in cacao seeds called methylxanthines. When ingested by dogs, methylxanthines can result in symptoms including: diarrhea, vomiting, hyperactivity, abnormal heart rhythm, seizures, and even death. Dark and baking chocolates are the most dangerous. Looks like health food (at least these fruits) are off the menu too. The core of the apple as well as pits of the others contain cyanogenic glycosides – that’s cyanide for all us non-scientific folks. Ingesting this can cause difficult breathing, dizziness, hyperventilation, collapsing, seizures, shock, and in extreme cases, even coma. Nibbling on these juicy tidbits (and their shriveled cousin, the raisin) can be hazardous to your dog’s health. Vets aren’t sure exactly why, but this fruit can cause vomiting, diarrhea, lethargy, and even rapid kidney failure. Dogs that develop kidney failure tend to exhibit a lack of appetite and dehydration; death can occur with as little as three to four days. They may be the secret ingredient to your award-winning spaghetti sauce, but onions and garlic pose a danger to your dog. In large quantities, they can damage red blood cells. Your pooch may not have his usual pep in his step, and if enough onions or garlic are eaten, he may need a blood transfusion. Look out for dark urine and lethargy. Pups drink milk from their mothers, but many adult dogs are lactose intolerant, as are many adult humans. Milk and other dairy products can cause digestive upset (you know what that means…vomiting and diarrhea) and may trigger allergies. A handful will do you good; your dog… not so much. As few as six macadamia nuts can cause muscle tremors, vomiting, elevated body temperature, weakness or paralysis of the hindquarters, and accelerated heart rate. Chocolate and macadamia are a particularly dangerous combination, which can lead to death. These foods contain an artificial sweetener called xylitol which can harm your dog’s health. (Many forms are not particularly good for you either.) It can cause a spike in insulin levels, which leads to a drop in blood sugar. If he ingests enough, he may experience liver failure. Symptoms include vomiting, lethargy, loss of coordination, and seizures. What? No! Bacon?! It’s true; the fat in bacon (as well as other rich meats) can cause pancreatitis if consumed with regularity. Once this happens, your pooch will have difficult digesting and absorbing nutrients properly. It can result in death. The bad news: bacon can hurt your dog. The good news: more bacon for you. Medications, both OTC and prescription. While you wouldn’t classify them as “food,” your dog might! Baking powder, baking soda, nutmeg… in fact, just close up your pantry and spice cabinet. If you suspect your dog has eaten elicit substances, please contact your vet or emergency clinic immediately. You can also call the ASPCA Animal Poison Control Center ((888) 426-4435. 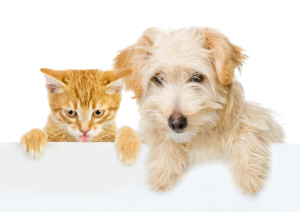 – be aware that the ASPCA may charge a consultation fee). You love your pet – so don’t share everything. Keep these foods off his menu!